For a small business owner such as a songwriter/publisher, knowing the market is vital. Budgeting for success means looking at income (when it decides to come in!) and making informed decisions about how to spend it most effectively. Up near the top of the list of expenditures (almost right next to eating) are demo costs. The financial outlay for demonstration recordings has risen to $750 - $1,000 per song. So, if you write 30 songs a year and only have $10,000 in your demo budget, you're going to have to make some hard choices. Let's say you've written this song about a Chicken. You love it! Your mom loves it! The special person in your life loves it! However . . Radio is only playing Dog songs. Fortunately, you've also written four Dog songs, which everybody loves. Your dilemma? You only have enough money to produce a three-song demo, but you have five songs (four Dog songs and one Chicken song). What do you do? Now, unfortunately, I have suitcases full of demoed Chicken songs, so I know what the songwriter side of me says; however, I noticed early on in life that food is a good thing and that eating makes me happy. So, while grumbling and complaining about how radio should be playing more Chicken songs, I demo three of my four Dog songs so I can continue to support my nasty food habit! In the frustrating war between art and commerce, commerce wins. Let's be honest. Though it shouldn't, radio drives the "commercial" aspect of the songwriting process. (Did I already mention that I like to eat?) It affects just about every decision we make creatively. In the year of 2013, country radio did something seismic in nature, which impacted songwriters and publishers dramatically. As an experiment to maintain listenership, Country radio decided to slow the progress of records going up and down the charts in hopes of breeding the kind of familiarity that keeps listeners coming back for more - commercials, that is. When you look at tempo you find that only 3 of them were above 100 BPMs (beats per minute) and the fastest was only 106 BPM. Of the 8 that were under 100 BPMs, They spent 39 weeks at #1. So, you can deduce that they were all aimed at radio. By contrast, there were 30 #1s. Only 5 of them were above 100BPMs. Only 1 at 120 BPMs at dance speed. Of the 25 that were under 100 BPMs, they spent a total of 46 weeks at #1, the lion’s share. Women were only featured as artists on 3 records and there was only one female solo artist to go to #1.....and that was of course Taylor Swift. Songwriters were 28 male and 4 female. The artists contributed to 50% of these records about 5 of the 11 Billboard Country Airplay Songs. 11 of the number one had the artist writing on it, about 1/3. Intros......For 8 of the 11 There was an average 11 second intro. 3 records had zero start....not particularly radio friendly. There were no zero starts! The average was 15.9 seconds...The longest was "Boys Round Here" with 31 seconds. The shortest was "Drunk Last Night" with 6 seconds. 4 recorded songs that reached #1 didn’t use the pronoun ""You"
So, 26 did use the pronoun ""You" and used it within 34 seconds..including the intro! All got to first use of the title within an average of 60 seconds, including intro. So, best bets for writing a country #1 in either chart? 1. Keep it under 100 BPMs. 2. If possible hang out with the artist. And...get me to the title in 60 seconds or less!! WHAT WAS A POP #1 HIT ON BILLBOARD MAGAZINE IN 2013? There were 11 # 1 records in 2013. Last year, only 5, less than 50% were over 100 B.P.M. The previous year, 2012, 2/3 were over 100 B.P.M. which showed a bias toward Dance/EDM, as the record reflects the heart rate of the consumer. And...the heart rate is increasing. Three records were 140BPM's or more showing a gradual increase in the last decade in consumers’ heart rate. So, this year the listener, as opposed to the dancer is accommodated. 6 #1s were under 100 BPMs and Miley Cyrus with her infamous song "Wrecking Ball" was actually "at rest", or around 60 BPM! .......coming to a radio near you! --Women artists showed prominently in Pop as 5 records had solo (3) or had women Artists featured (2) out of the 11 number ones. However of the writers of the 2013 #1s, were again disproportionately male. Male writers were represented 32 times on #1 songs. 5 women writers contributed to # 1 pop songs on the Billboard Hot 100 Charts. ~Artist/writers were present on 10 of the 11 number ones. ~When we look at intros, we find, as has been the case in Pop, the intros seem to be disposable. 7 of the 11 #1s had zero start and of the remaining 4 that had intros, they averaged 9 seconds. That’s very minimal, which means that they really weren’t designed for radio. FIRST USE OF THE PRONOUN "YOU"
4 of the number ones were about "issues" or "stuff"
"Thrift Shop" by Macklemore and Ryan Lewis (also the #1 Hit of the entire year of 2013), was about....Guess What? "Can't Hold Us" again, by Macklemore and Ryan Lewis, although they invite you in....literally, with "Good to see you, Come on in..." The Track really is not about the listener. The rest of the records (7) invited the listener in by using the pronoun "you" on average, around the 23 second mark. Also, the first use of title occurred in 6 of the 11 before the 1 minute mark, which is within the listener’s expectation. There was only one record that faded in 2013 and that was "Blurred Lines". The others "deadended". That means that they were designed specifically to be "singles". 5 of the #1s got to either a bridge or a call and response or something significantly different before the 2.30 second mark. Song length really was fairly limited to 3-4 minute area. The shortest was “Royals” by Lorde at 3.08 minutes and longest was "Blurred Lines" at 4.20 minutes, the rest fell in between the 3-4 minute region. 6 number ones used the 4th form. That structure seems to be structure "du jour". That structure took up 37 weeks. Of number one time, and the songs are more songs than just dance tracks like “Harlem Shake". If you look at songs like “Royals”, ‘When I was Your Man”, “Wrecking Ball” and “Roar”, they are more identifiable with story songs than dance tracks. Third form showed that it was alive and well as it posted "Locked out of Heaven" and "Thrift Shop". Third form really resonates with audiences and really works well with radio. The only second form was "The Monster" by Eminem, featuring Rihanna. So if you are dealing in the hit pop "sticky song" market, you are looking at writing that song with the artist or adding their name to it afterward. If it is a regular number one, it’s under 100 BPMs to accommodate the listener. The songs all reached the first use of the title within 60 seconds. The bulk of them, all of the songs used the pronoun “you” on average 23 seconds from the start of the song. ….And, it’s probably going to be written in 4th form. Again, fulfilling listener’s expectations. So, you have Dog songs and you have Chicken songs. Where do you spend your demo dollar? So much for Chicken songs! I would like to acknowledge the invaluable assistance of Phil Goldberg and Chad Green indulging my "need to know" in helping research the above information. Most importantly, thank you, Mark Ford, for massaging and editing my lunatic fringe ramblings into a coherent form. 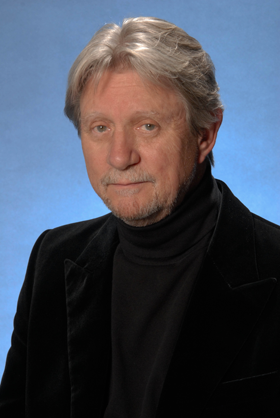 Ralph Murphy, hit songwriter and expert, has been successful for five decades. He wrote huge hit songs such as Crystal Gayle's "Talking in Your Sleep" and "Half the Way". Consistently charting songs in an ever-changing musical environment makes him a member of that very small group of professionals who make a living ding what they love to do. Add to that the platinum records as a producer, his success as the publisher and co-owner of the extremely successful Picalic Group of Companies and you see a pattern of achievement based on more than luck. Achieving "hit writer" status has always been a formidable goal for any songwriter. Never more so however than in the 21st century. Catching the ear of the monumentally distracted, fragmented listener has never been more difficult. Getting their attention, inviting them in to your song and keeping them there for long enough for your song to become "their song" requires more than being just a "good" songwriter.